· Approx size 64mm x 90mm . 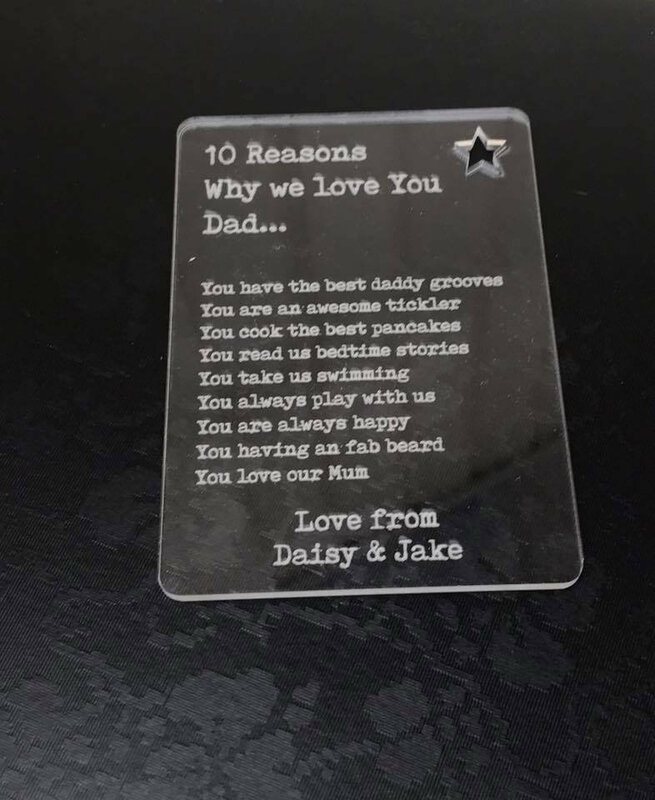 · Personalised With Your Own 10 reasons. Max 35 characters per line, along with names at bottom. 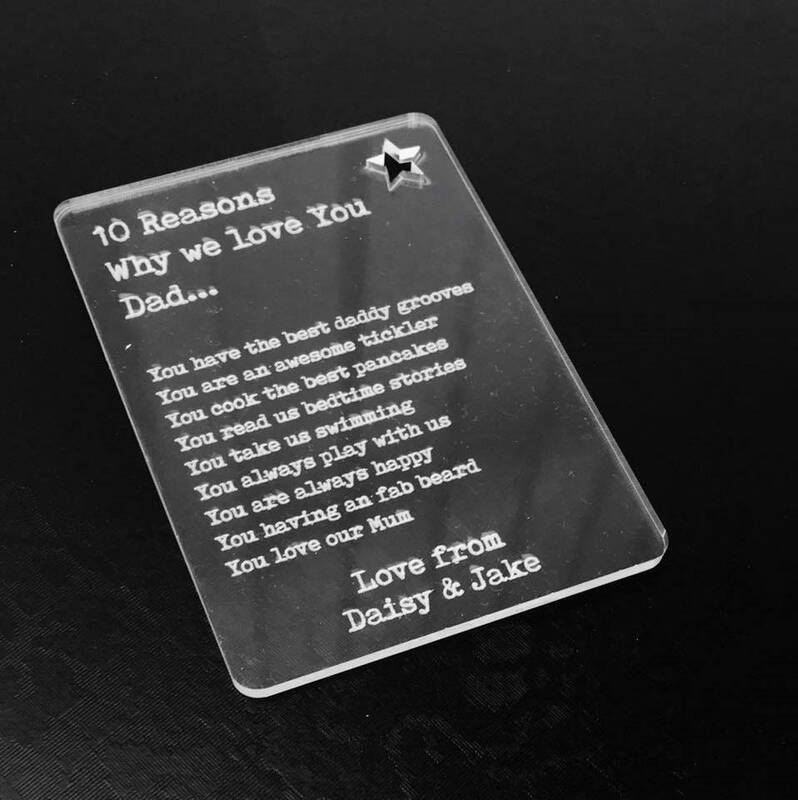 · Laser Cut & Engraved From High Quality 3mm Acrylic.